Cllr Sarah Hacker: What will the Greens do? What will the Greens do? Last weeks election results left the Greens in an interesting position. Labour have 22 councillors and 39.9% of the vote. The Conservatives have 16 councillors and 34.1% of the vote. The Lib Dems lost all the wards they were defending and have 5 councillors and suspended Lib Dem Cllr Swaine remaining. The means last years coalition does not have enough councillors to lead the council, their total also being 22 (if Cllr Swaine is included). The Green now have 2 councillors. There has been talk of a 'rainbow coalition' consisting of the Conservatives, Lib Dems, Cllr Swaine and the Greens - a total of 24 councillors. I think this would be a huge mistake. The Greens won in Park ward with 1585 votes and Labour came a close second with 1213. The Conservatives came a poor third with 735 votes. The people of Park have made it clear - if they didn't have a Green councillor they would have a Labour councillor and they don't want much to do with the Conservatives (and even less to do with the Lib Dems with just 123 votes). 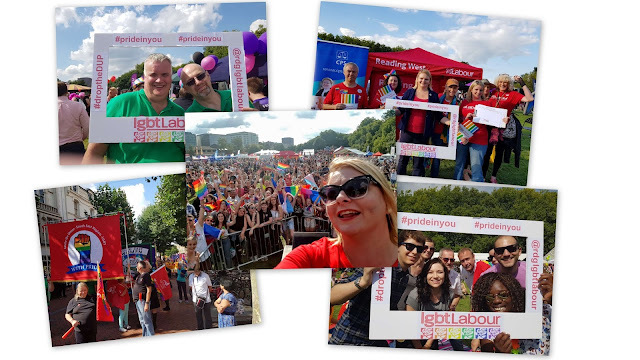 If the Greens side with the Lib Dems and Conservatives to form this 'rainbow coalition' I think they would be doing the Labour party in Park ward a huge favour and irreparably damaging their reputation at the same time. Absolutely true! The other parties are more concerned with getting power than the principles people chose them for. I'm not a green voter but any respect I had for them would sink to unreachable levels if they did the same stupid action as the Lib Dems. Like you say, they would be doing the Labour party a great service by becoming as toxic as Clegg and his clan. I might be proven wrong, but I think that a "rainbow coalition" would be very unlikely. During the Con-Dem coalition on the council, Robert White tended to vote with Labour. I don't think the Greens would risk destroying their reputation and losing their foothold on the council. They're unlikely to want to become Reading's Nick Clegg and receive a similar trouncing at elections.